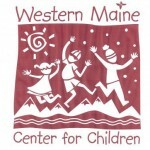 Western Maine Center for Children is a independent non-profit child care facility which was created in response to the need for child care in the Kingfield to Eustis area. The Center provides quality licensed childcare for children from ages 8 weeks to 5 years old and is licensed by the State of Maine for 20 children. The Center is governed by a volunteer Board of Directors, consisting of members from all of the communities involved. Our facility is located at the base of Sugarloaf Mountain at 3209 Carrabassett Drive (Route 27) in the Carrabassett Valley Public Library & Community Center building.